in this remarkable place what they cannot find elsewhere. As a hunted man without a home, family, or identity, Lin searches for love and meaning while running a clinic in one of the city's poorest slums, and serving his apprenticeship in the dark arts of the Bombay mafia. The search leads him to war, prison torture, murder, and a series of enigmatic and bloody betrayals. The keys to unlock the mysteries and intrigues that bind Lin are held by two people. The first is Khader Khan: mafia godfather, criminal-philosopher-saint, and mentor to Lin in the underworld of the Golden City. The second is Karla: elusive, dangerous, and beautiful, whose passions are driven by secrets that torment her and yet give her a terrible power. 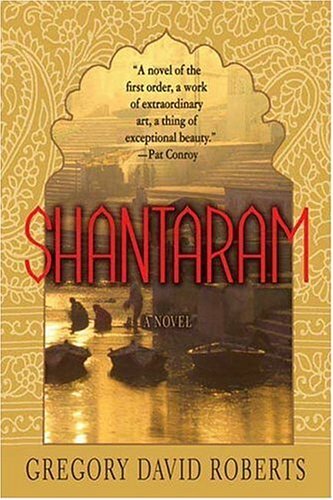 Burning slums and five-star hotels, romantic love and prison agonies, criminal wars and Bollywood films, spiritual gurus and mujaheddin guerrillas---this huge novel has the world of human experience in its reach, and a passionate love for India at its heart. Based on the life of the author, it is by any measure the debut of an extraordinary voice in literature.